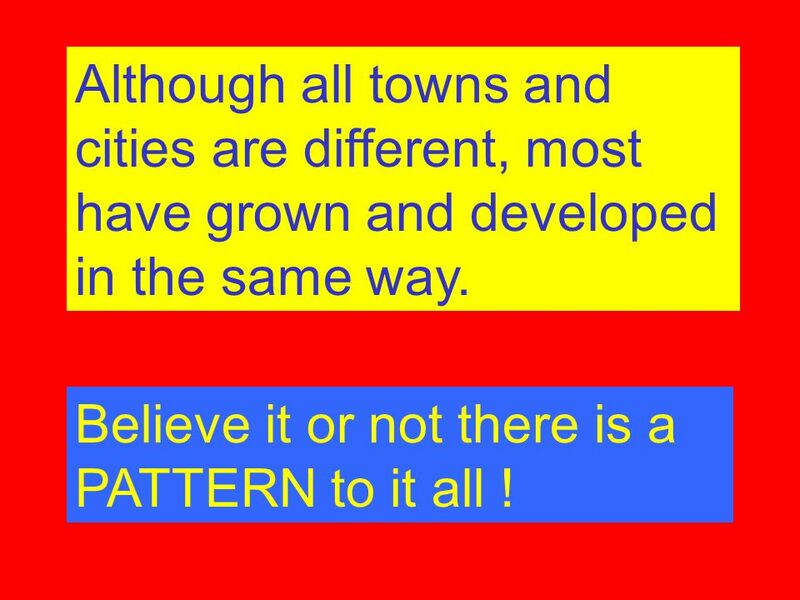 3 Although all towns and cities are different, most have grown and developed in the same way. Believe it or not there is a PATTERN to it all ! 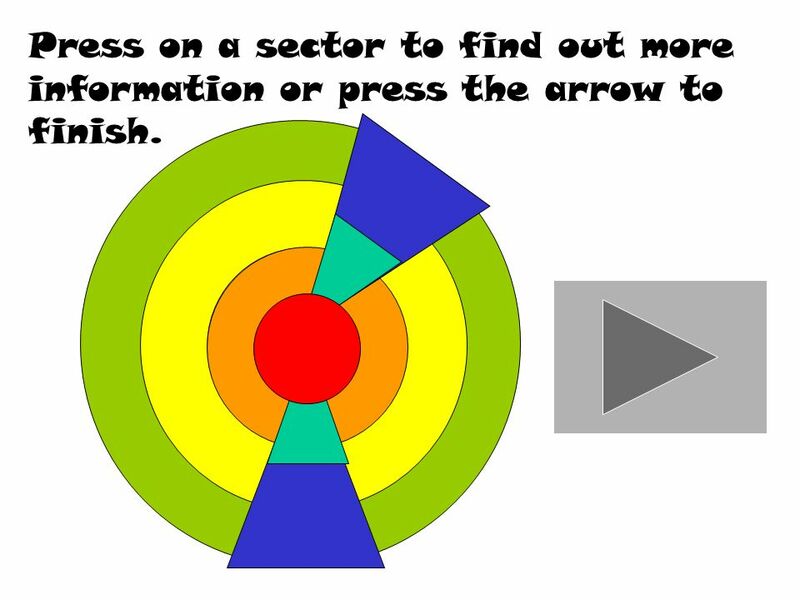 4 We can show this pattern by using a MODEL – a simplified picture. This is an URBAN MODEL to show the different land use within a town or city. 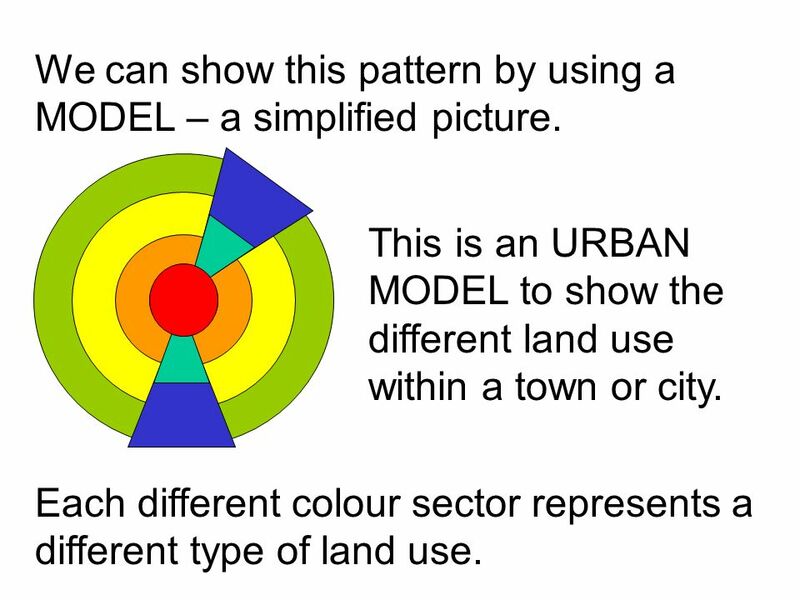 Each different colour sector represents a different type of land use. 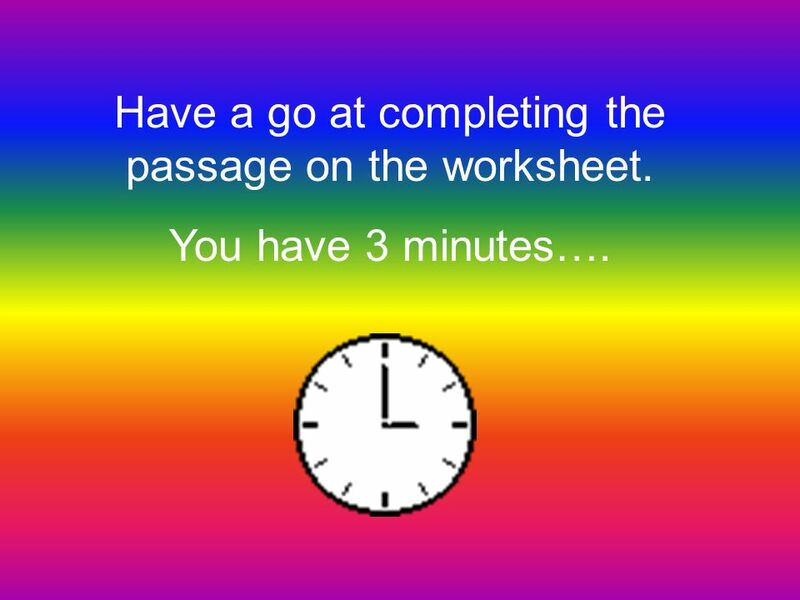 5 Have a go at completing the passage on the worksheet. 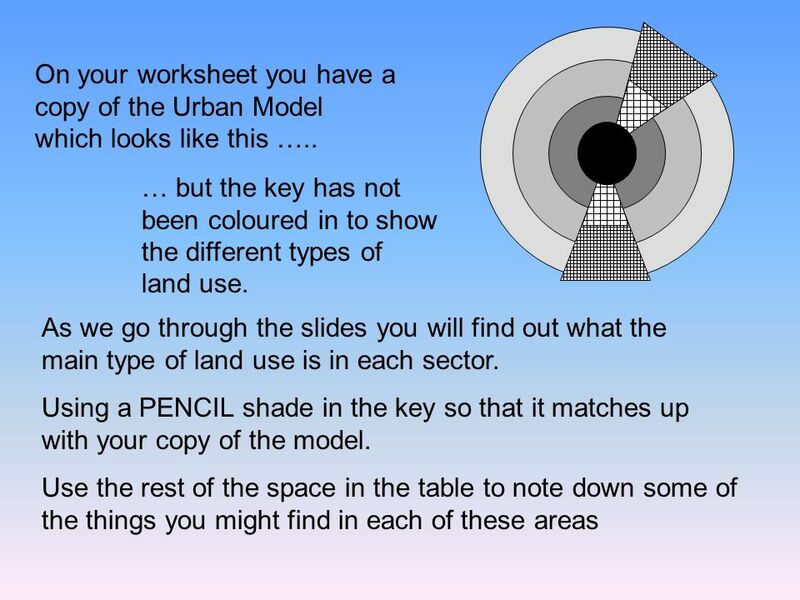 7 On your worksheet you have a copy of the Urban Model which looks like this …..
8 Press on a sector to find out more information or press the arrow to finish. 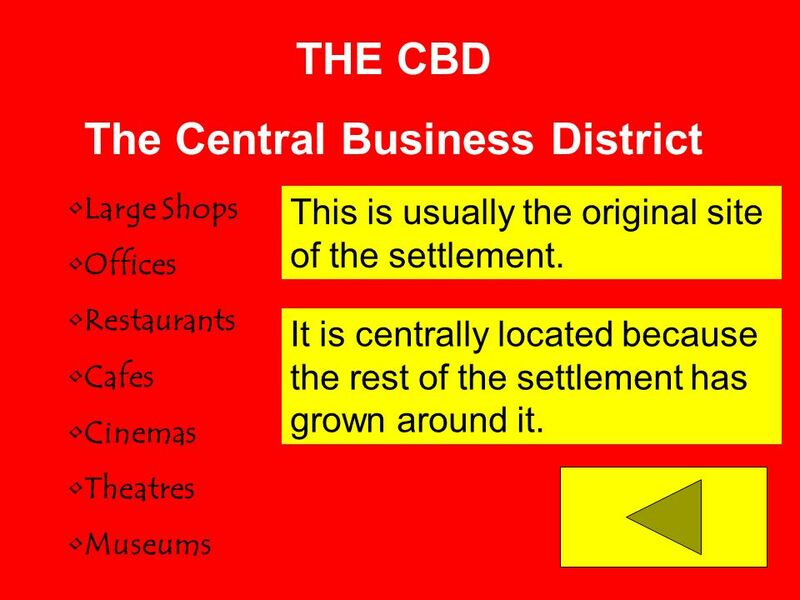 THE CBD The Central Business District Large Shops Offices Restaurants Cafes Cinemas Theatres Museums This is usually the original site of the settlement. It is centrally located because the rest of the settlement has grown around it. Terraced houses for the factory workers. Some now replaced by high-rise flats. Small Corner shops Located just outside the CBD Houses built near to the factories so that the workers could get to work easily. Some Parks Some rows of shops Newer houses built for the growing population. 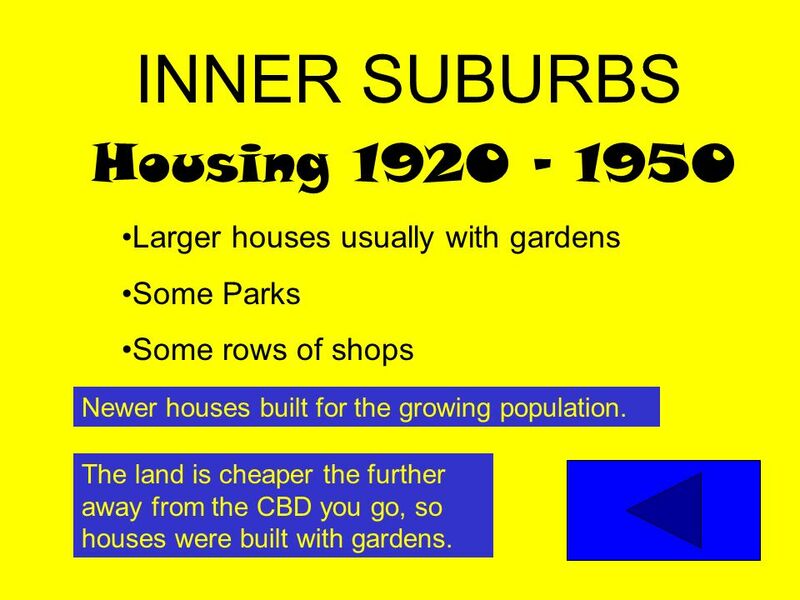 The land is cheaper the further away from the CBD you go, so houses were built with gardens. 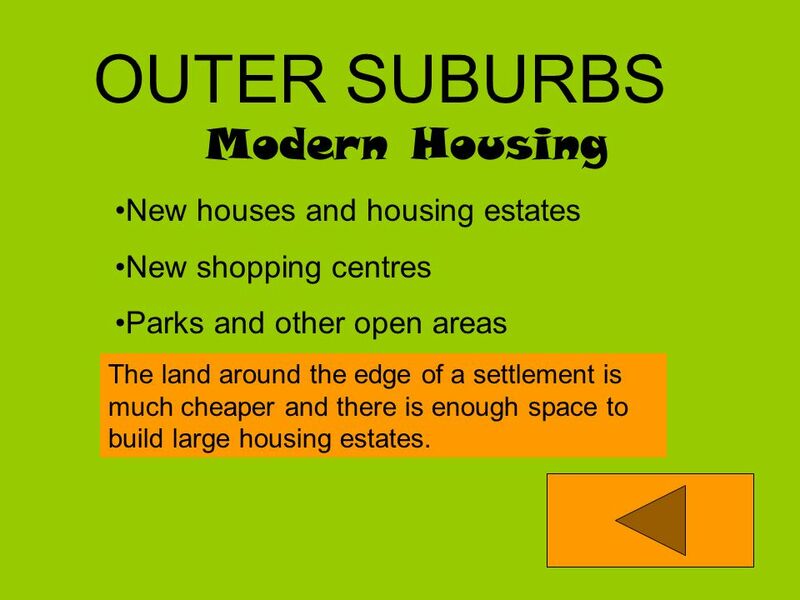 New shopping centres Parks and other open areas The land around the edge of a settlement is much cheaper and there is enough space to build large housing estates. 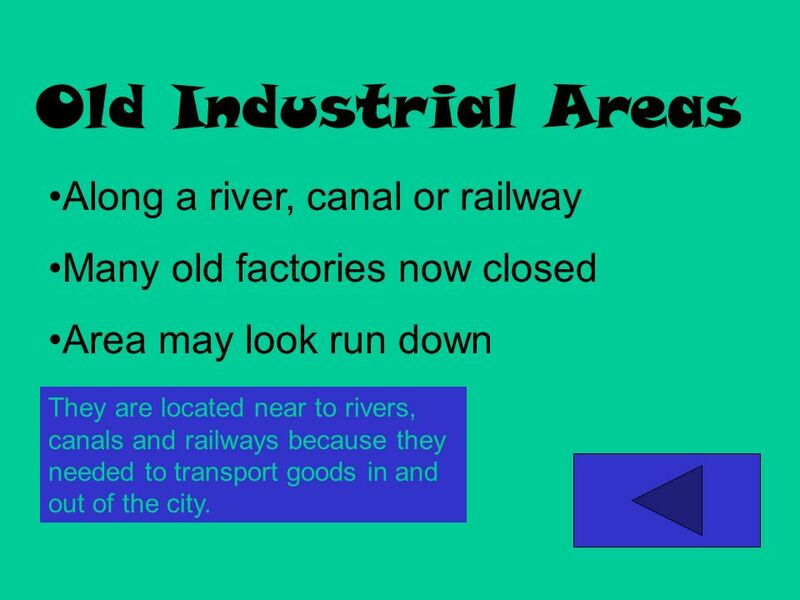 Many old factories now closed Area may look run down They are located near to rivers, canals and railways because they needed to transport goods in and out of the city. 15 See if you can spot the pattern ! 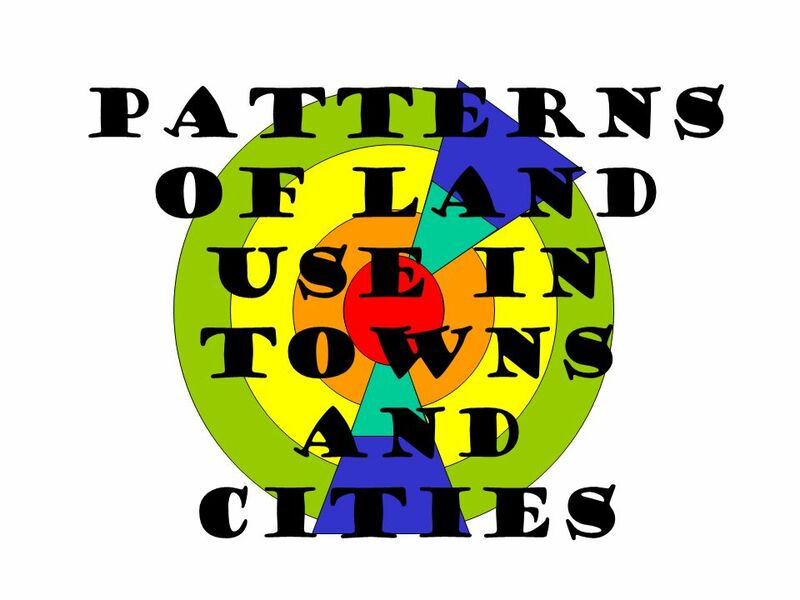 Download ppt "Patterns of land use in towns and cities"
L3 – List the ways settlement change. L4 – Describe the changes… L5 – Explain why these changes take place. What are the main characteristics of a CBD? Land Use Zones Case Study Glasgow. 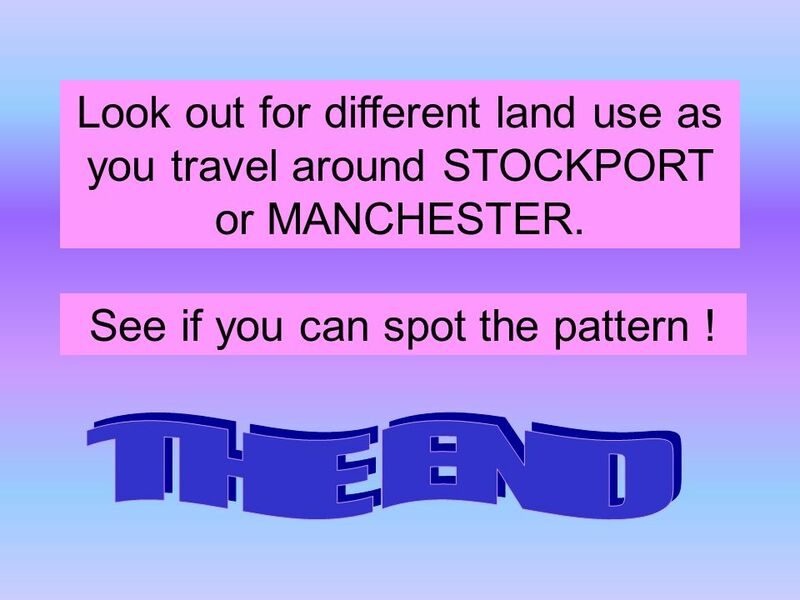 Higher Geography Land Use Zones. CITIES IN MEDC’S Models are used in geography to try to explain what we see in the physical environment. A model is used to simplify complex, real world. Land use. 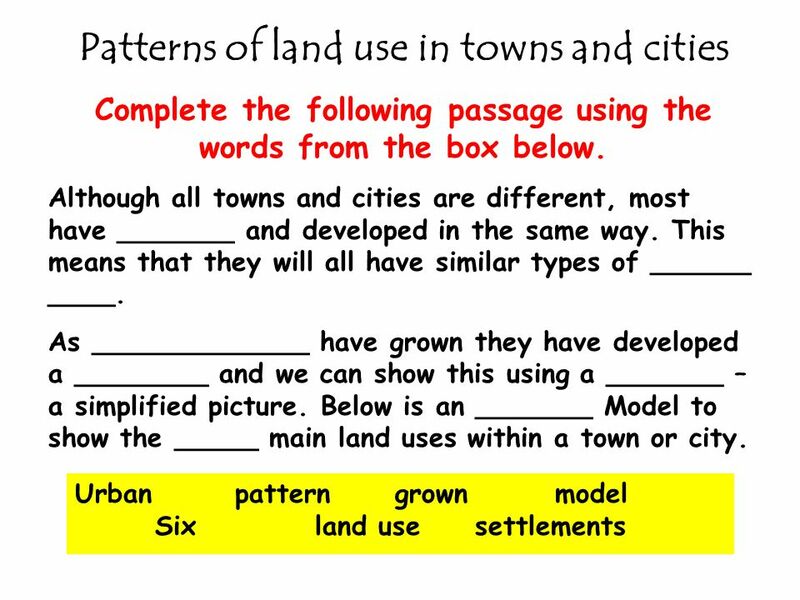 Lesson Objectives: - Recap land use in a city - Examine issues of urbanisation. Hoyt – The sector Model. What is the Hoyt sector model? 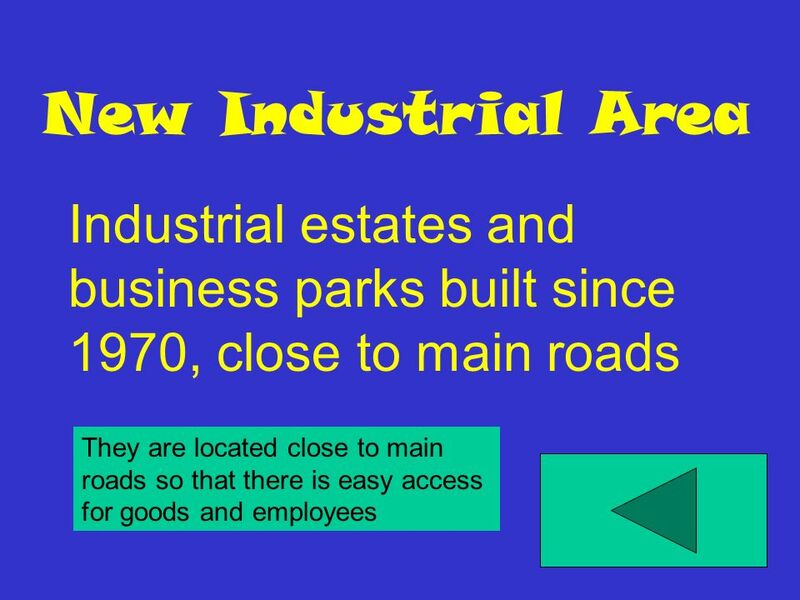 Hoyt proposed the idea that towns grew as sectors or wedges. Hoyt proposed the idea that towns. URBAN GEOGRAPHY CHAPTER 4 SECTION 4. Higher Urban 3 Urban Land Uses. What do the images tell you about the CBD of Glasgow? Settlement Over Time By: Jaden. 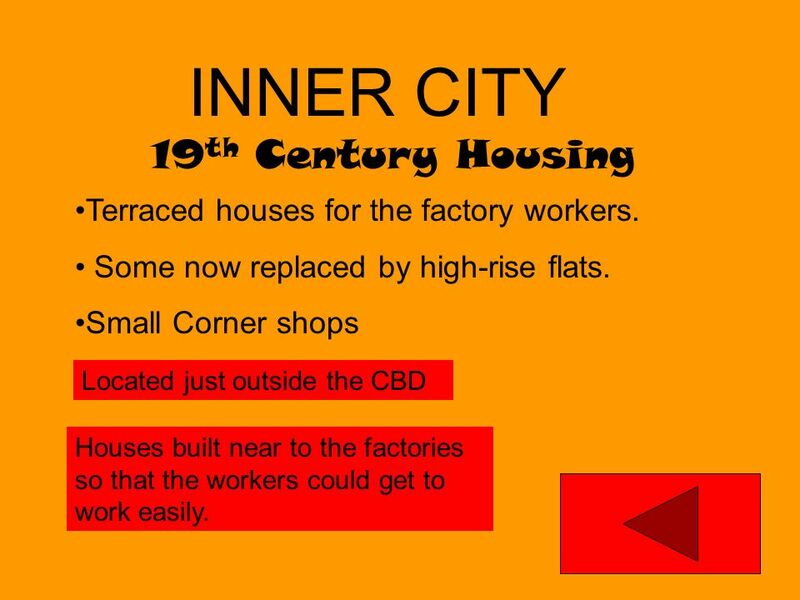 Some Vocabulary CBD = Central Business District Linear = Town with lined shape. Dispersed = Town with each building far.